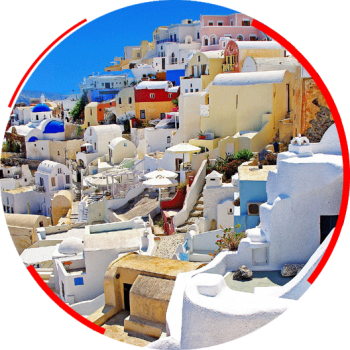 Greece is a country in southeastern Europe with thousands of islands throughout the Aegan and Ionian seas. It is considered the cradle of Western civilization due to its influence in ancient times. Greece’s rich historical legacy is evident with its 18 UNESCO World Heritage Sites. Greece is a member of the European Union, the North Atlantic Treaty Organization (NATO), the World Trade Organization (WTO) and several other international institutions. It is the largest economy in the Balkans, where it is a prominent regional investor. Greece is also part of the Schengen zone, which allows for free and unrestricted movement within 28 European countries. + DISCOVER YOUR MIGRATION ELIGIBILITY NOW!